Grew Up… in Neptune, California. Her father was the well-respected Neptune sheriff and Veronica was very popular in high school. She was considered an integral member of the 09ers – the popular kids at Neptune High. Her boyfriend was Duncan Kane, her best friend Lilly’s brother. One day, Duncan broke up with Veronica without an explanation and shortly afterwards Lilly was murdered. Veronica’s father subsequently lost his position and community respect after accusing Lilly’s father of the murder. Veronica stuck by her father despite the community backlash. The loss of income and status was too much for Veronica’s mother, so she turned to drinking before eventually leaving the family. Veronica was forced to grow up very quickly – transforming from a sweet, shy girl to a tough fierce young woman. Living… in a smaller apartment than before he lost his job. Her father is extremely protective, but understands that nothing stops Veronica when she gets an idea in her head. She's often out of the house trying to solve cases. Profession… amateur detective. Her father became a private investigator after being voted out of office. Though Veronica is too young to be an offical P.I., she nevertheless takes on cases. Veronica refuses to listen to her father's protests because she knows that they are short on cash and can use all the money they can get. Plus, it's really fun. Interests… finding out what really happened to Lilly. 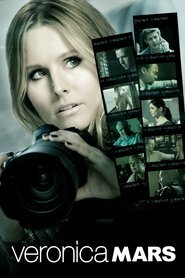 Veronica is collecting as much evidence as possible to prove that her father is not crazy and to find the Lilly's killer. Relationship Status… single. After Lily’s murder, Duncan completely ex-communicated himself from her. Even before that, he had broken up with her and acted strangely for reasons completely unknown to Veronica. She still loves Duncan very much and misses him but her obsession with Lilly’s case is preventing her from dating anyone. Challenge… balancing school and her detective work. Veronica is very intelligent and wants to get into a good college so that she can leave Neptune. She works hard in all of her classes but her detective life often conflicts with her academic one, causing her to be tired and distracted in class. Personality… resourceful, sassy, independent, and strong. Despite these qualities, Veronica still struggles to overcome all the hurdles thrown her way – loss of status, being ignored by all her friends, her mother’s abandonment, Lily’s murder, and losing her boyfriend. Though Veronica rarely shows a vulnerable side, she is really hurt by all the foul rumors circling her. 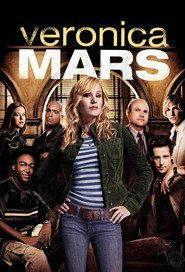 Veronica Mars's popularity ranking on CharacTour is #462 out of 5,000+ characters. See our top-ranked characters and read their profiles.